The Penguins have traded Sergei Plotnikov to their opponents in tonight's contest, the Arizona Coyotes. The return is uncertain right now, aside from the fact that it's a "conditional and minor league player." Plotnikov, 25, had two assists in his brief time with the Penguins and had been benched for the last 20 games. UPDATE- 9:52 A.M.: Pens receive forward Matthias Plachta and seventh-round pick in 2017. Penguins trade Sergei Plotnikov to Arizona for a conditional and minor league player. @CraigCustance broke this one. 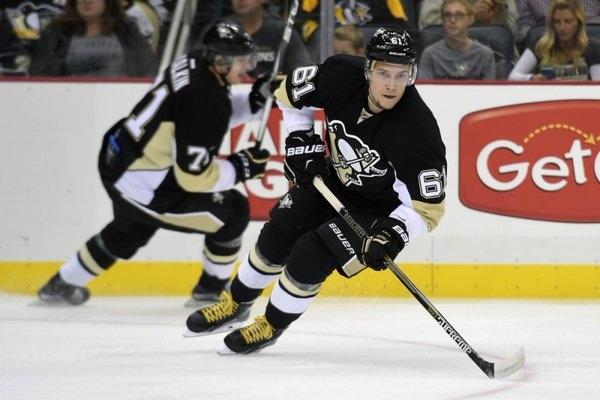 I'm disappointed that Plotnikov could not find his footing in Pittsburgh. During the offseason, there was incredible--perhaps too much--hype around the incoming Russian winger. I think he possesses good size, was beginning to find his way in the league, and has a good upside. While I'm a little upset that he is leaving, I'm more happy for him as he'll have a chance to play out in Arizona with some good, young talent like Anthony Duclair and Max Domi, alongside fellow Russian, Viktor Tikhonov. Good luck in Arizona, Sergei! The Pittsburgh Penguins have acquired defenseman Justin Schultz from the Edmonton Oilers in exchange for the Penguins 2016 3rd-round draft pick. Edmonton retains half of his $3.9 million cap hit. The deal was made official by the Penguins shortly after their 4-1 win over the Winnipeg Jets that saw goals from Kris Letang, Scott Wilson and two from Carl Hagelin. Schultz, 25, becomes a restricted free agent (RFA) at season's end. He has accumulated 101 points (28G, 73A) in 248 career games, all played with Edmonton. The 6'2", 193-pound defenseman was originally drafted by the Anaheim Ducks and never suited up for the club. He played his collegiate hockey at the University of Wisconsin from 2009-12 and was a Hobey Baker finalist during his last two seasons. Edmonton pitched the best proposal for the free agent and in 2012, Schultz inked his first NHL contract. Due to immigration arrangements, the Penguins do not expect to have Schultz join the team until Wednesday or Thursday of this upcoming week. There it is, folks. General Manager Jim Rutherford did not pull the trigger as quickly as other GM's had earlier in the day, such as Dale Tallon of the Florida Panthers and he landed one of his primary targets. I don't really see any downside to this trade on paper, but of course, paper can be deceiving. If memory serves me correctly, the Penguins were on his short-list of teams he would accept going to when he was going to sign in 2012, but he ultimately chose the Oilers. Well, now, we will get to see the young defenseman in action. Schultz was almost a necessity at this point. With the injury to Ben Lovejoy, limited trust in Ian Cole and the highly rumored name of Kris Russell of the Calgary Flames flying around, it was apparent the Penguins were going to acquire a defenseman. Did I personally see Justin Schultz coming over? No, but I had always hoped he would make his way to the East Coast. Of course initial assessment of the trade comes in lightning form because of social media. Did the Penguins steal the deal or shoot themselves in the foot? "A worthwhile risk." That's what stood out to me and exactly how I feel. Edmonton retains half of the salary and he gets a change of scenery. While I'm not the biggest believer in whether or not analytics is the be all, end all of a player's worth, I do think that they are a helpful guide. I believe a change of scenery to a locker room with a winning mentality may boost Schultz confidence. Instead of playing with stars like Taylor Hall, Ryan Nugent-Hopkins and Jordan Eberle, he now gets to play with superstars the likes of Sidney Crosby, Evgeni Malkin, and Phil Kessel. If that's not exciting and doesn't light a fire under you, I don't know what will. I like the deal and think that he could be a great asset. While there are some defensive lapses and a raw mold of what he can be, working alongside Sergei Gonchar and company should help shape Schultz into the defenseman scouts, Anaheim, and Edmonton believed he could be. I work with letters rather than numbers. I give this trade a solid B solely for the fact that it's not overwhelming, lose my mind with excitement, but it's not a complete head-scratcher. I'm optimistic about the deal and hope the best for young Schultz. Welcome to the Burgh, Justin Schultz! 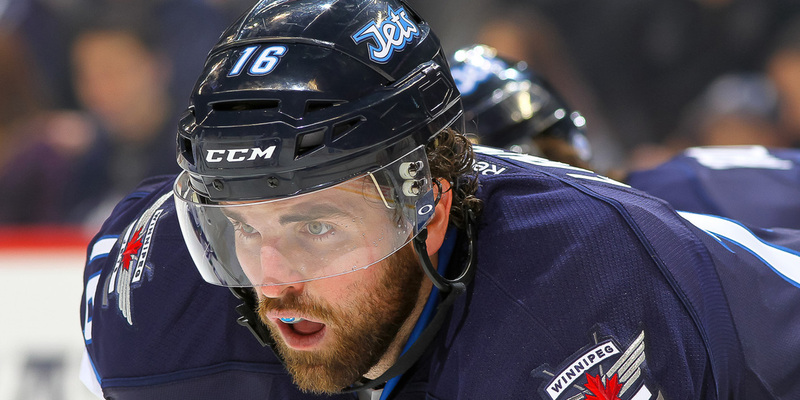 The Blackhawks have bulked up to win yet again with their recent acquisition of Winnipeg captain Andrew Ladd. Ladd, who won a Stanley Cup with the Hawks in 2010, will surely fit in with an already exceptional group of talent in The Second City. So, full deal: Ladd, Fraser, Harrison for Dano, a first and a third-rounder in 2018 if CHI wins Cup. WIN retains 36 per cent of Ladd salary. What Does This Mean For Pittsburgh? I think it's a win for Pittsburgh. First off, there is no way they had the available assets to pull off the deal. Secondly, even if they did, they would have grossly overpaid. I don't think it's a great business deal for Chicago, however, when you've won three Stanley Cups in a six year span, you can afford to make these "all-or-nothing" kind of deals. Lastly, Ladd is a UFA in the off-season. The Pens have traded for rentals for the last several seasons and none have panned out whatsoever. So, good on GM Jim Rutherford to avoid going all-in on this trade. Now, were the Penguins even involved in conversation with Winnipeg? Despite the conflicting reports/rumors, I have to side with Yohe here solely for the fact that he is more closely affiliated with the team than the other outlets drumming up the rumors. As mentioned earlier, good on Pittsburgh avoiding the temptation of Ladd and holding the cards closer to their chest. Do I believe the Penguins make a move between now and Monday? Of course I do. A blockbuster? No. Am I glad they didn't go after Ladd? Yes. Am I going to end this blog by summing up the fact that I'm like the "Speaks in Third Person" doctor from Scrubs?​ Yes, yes I am. Oh Pens fans, rejoice! Rejoice! We are one week away from one of the most fantastic days of the NHL season: Trade Deadline Day. I am truly a junkie for the day. I've skipped high school classes, college courses, and I've called off work just to sit home and follow Trade Deadline happenings with the TV on, phone in one hand, tablet in the other all while staring at my computer screen and continuously refreshing my Twitter feed. My set-up is very similar to that you'd see of Darren Dreger and "The Bobfather" on TSN. It's exciting to me not only for who the Penguins may acquire, but also to see what the competition is doing. With the East being as tight as is it is this season, it is absolutely crucial that the Penguins make the best moves possible. ​That's what this blog is going to attempt to do. The biggest question every season for the Penguins are do they move bodies in and out or do they stand pat? With a slew of injured players currently rehabbing (Evgeni Malkin, Nick Bonino, Eric Fehr, Beau Bennett), those returning players could make as much of an impact upon their return as compared to if General Manager Jim Rutherford were to make some deals. I, along with every Pens fan, love to see trades as long as they make sense. For the last two seasons, I didn't believe they needed to make a deal, but this season I feel that a couple may be necessary. I'll hit that up in a few seconds. My favorite website to research leading up to this holiday is The Fourth Period. Their list of "Top 25 Players Available" is almost always spot on and my main frame of reference. Below, I'm going to list the players the Penguins currently have their names attached to and my opinions on those options. ​UPDATE: Ladd traded to CHI. Correct on this prediction. Radim Vrbata- RW (VAN). Read my views on Hudler. It's essentially the same thing here. I'd love to see the Penguins make a move for a defenseman, and that's about it. Maybe two. I believe when the forwards listed earlier are healthy, that's a huge upgrade to the team. No one on the market, within the realm of realistic possibilities can offer what Malkin, Bonino, or Fehr can for this squad. I do believe that a couple WBS kids deserve to stay on the main roster such as Conor Sheary, Scott Wilson, and Bryan Rust. While I like the play of Tom Kuhnhackl, Kevin Porter, and Oskar Sundqvist, I could see them easily being the ones substituted out of the lines. To me, players like Jeff Zatkoff, Ben Lovejoy, Beau Bennett, Ian Cole (I say on the fence), Derrick Pouliot and Matt Murray are the best trade chips. Read into it what you will, but I don't risk sending away Patric Hornqvist or Chris Kunitz at this point. Things are finally clicking for them. There's so much more to cover, but what I can proudly say is that I will be live tweeting the Trade Deadline and offer coverage as best as I can. I'll have write-ups and hopefully a special edition of the Pensimist Podcast to follow. Stay tuned, folks! Things are going to get very interesting over the next seven days. And I can't freaking wait! #Pensimist Podcast host, writer of many articles. Trade Deadline/Free Agent Frenzy junkie.